Joel contacted us about making an engagement ring for Michelle and we didn’t have much time, but give us a crazy deadline, and we’ll do our best to make it happen. He was going to be proposing in Lisbon, Portugal. He knew she wanted an emerald cut diamond, but nothing too big because she has the tiniest fingers. We sourced a perfect emerald cut diamond for him, then sourced the perfect sized trillion black diamond to go on either side. For this design, we set the black diamonds upside down, so their points faced up. 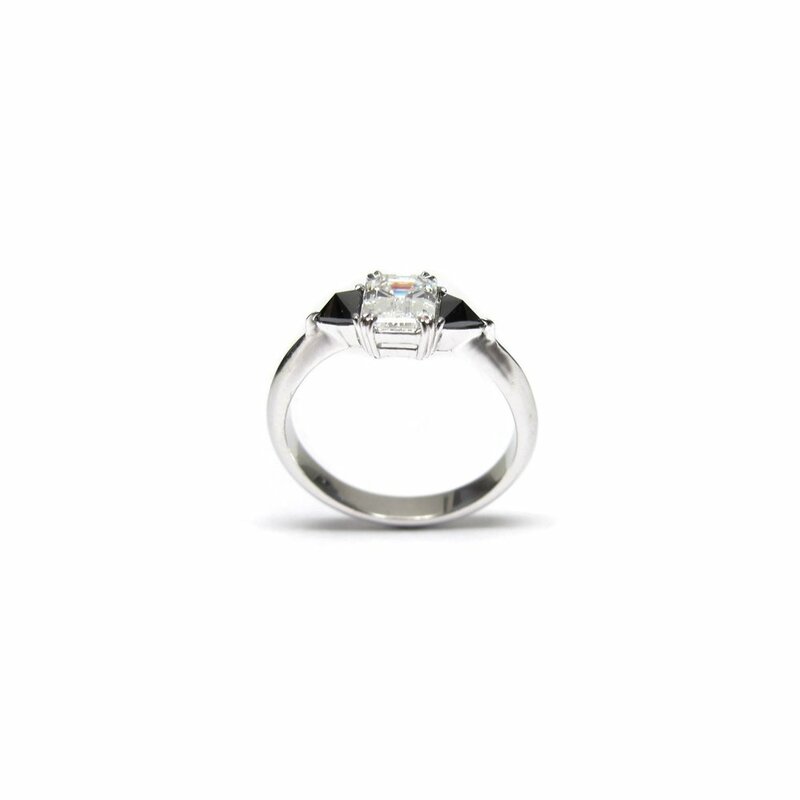 The band has a slight knife edge shape and the center diamond features double claw set prongs. This ring turned out delicate, yet commands a lot of attention at it’s smaller size.